The design of the Wedge Table arose from the idea to create a three dimensional table and stool construction that is made from flat plywood elements. 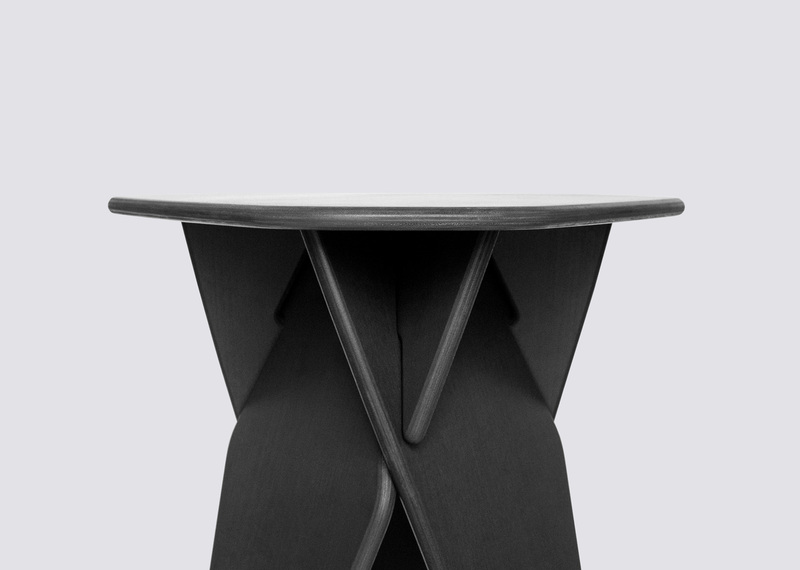 The three interlocking legs generate a solid structure and define the table’s characteristic aesthetics. The splayed position and tapering of the legs bundles the static stresses and counteracts the tendency of the table to tip. All plywood parts can be easily manufactured in joint operations. The top plate and base are connected to one another by a triple-armed steel part which completes the static structure. 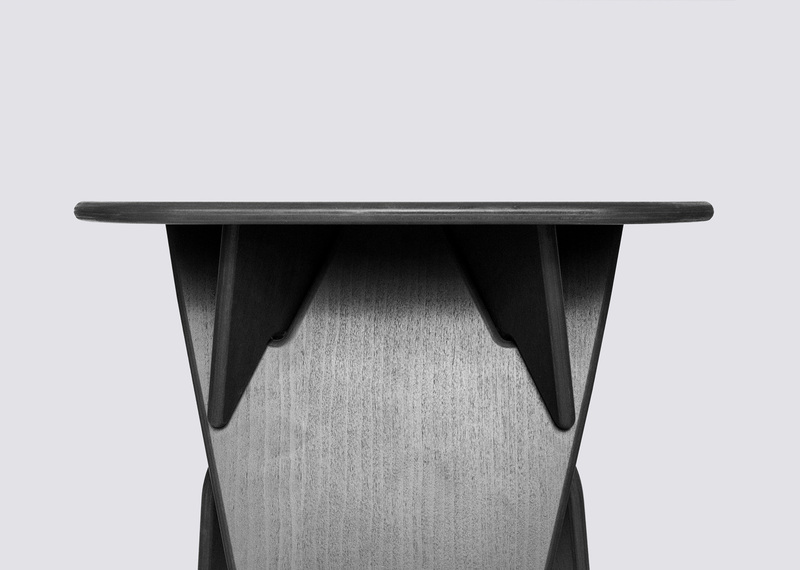 The Wedge Table is available in several color and material variations. Each part and detail underlies a structural logic and follows the aesthetic principles of necessity.Each part and detail underlies a structural logic and follows the aesthetic principles of necessity.Each part and detail underlies a structural logic and follows the aesthetic principles of necessity.Each part and detail underlies a structural logic and follows the aesthetic principles of necessity.